SciBlogs is running guest posts from some of the Eureka! Sir Paul Callaghan Awards 2014 finalists. In this guest post, University of Auckland student Rachael Wiltshire kicks off a conversation about the future of New Zealand energy. Three years ago, my History class was studying the Vietnam War when a question arose: why would anyone want to implement Communism? Is it not inherently evil? “What makes you think that?” my teacher asked. “The Cold War,” came the consensus opinion. But, as my teacher pointed out, we were all born after the Cold War ended. We had not grown up fearing Eisenhower’s falling dominoes. We simply accepted that Communism was bad, because that was the received wisdom we had absorbed over the years. You know another thing my generation has not grown up fearing? Nuclear annihilation. And yet, in New Zealand, nuclear power still remains a taboo subject. We are proud of our anti-nuclear history, so much so that an acceptance of the fallacy of nuclear power has become ingrained in our national psyche. We accept, unquestioningly, that nuclear power is bad. Two years ago, I was awaiting the start of a lecture at the London International Youth Science Forum. That day’s topic was an intriguing one; nuclear fusion, and the possibility of harnessing it for power generation in the future. As the lecture began, something struck me: I was surrounded by people who had not necessarily been raised to believe that nuclear power should be avoided at all costs. As I listened to the lecture, I was able for the first time to think of nuclear power, not as something which would ultimately lead to death and destruction, but as a feasible option for powering our future. We are all aware that our current reliance on fossil fuels is unsustainable. The carbon emissions created by the combustion of these fuels contribute to the enhancement of the greenhouse effect, and our coal, oil and gas supplies are running out. We need to move towards an economy which is based on other fuel sources. When thinking about other fuel sources, we tend to jump straight to renewable energy. In New Zealand we are lucky in that our economy is already largely based on renewable energy sources; in 2012, just 28% of our electricity was supplied by the burning of fossil fuels. However, renewable energy sources have a couple of disadvantages. They’re fickle- the sun doesn’t always shine and the wind doesn’t always blow (even in Wellington! )- and utilising them does involve significant environmental changes- think of the changes to a river system caused by the building of a dam, or of the chemical fertilisers that go into producing crops for biofuel production. In fact, Max Planck Institute physicist Axel Kleidon has argued that using some renewable energy sources, such as wind power, could in fact cause climate change as significant as a doubling of atmospheric CO2 levels, by changing the way in which the wind circulates. 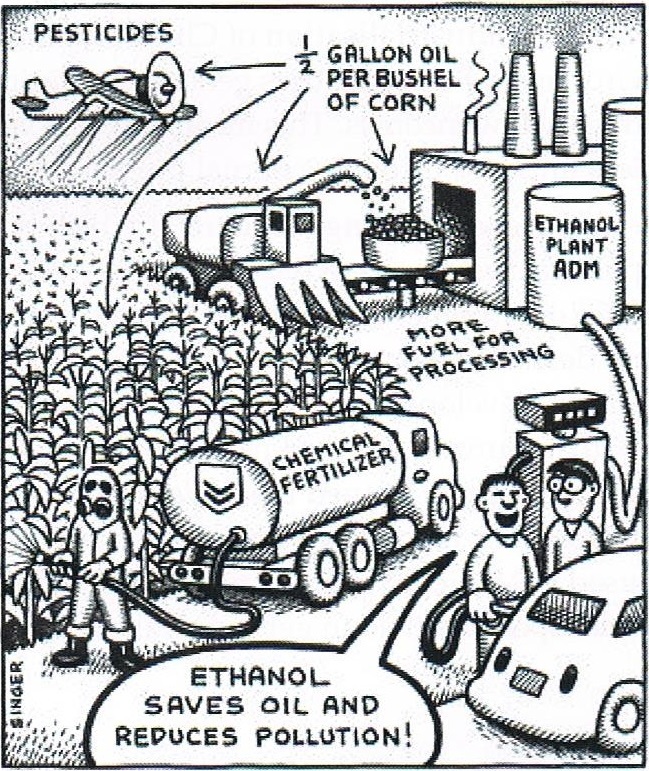 This is not to say that we shouldn’t be using renewable fuels. However, like a good diet plan, ‘everything in moderation’ is the most sustainable option for our future. If we are able to use a variety of different resources to produce energy, we are less likely to rapidly deplete those resources and more able to adapt to any changes in the environment which affect the availability of those resources. As a nation, we should consider whether one of those resources could be the energy stored in atomic nuclei. Today, when we talk about nuclear power we are talking about nuclear fission- the process by which a radioactive nucleus decays to another, lighter nucleus with the release of energy. There is another nuclear process; fusion. This is the process which powers stars, and involves two lighter nuclei fusing to form a heavier nucleus, a process which also releases energy. This latter process has only recently become feasible on earth, and is being explored by the ITER project, which aims to build an experimental fusion reactor in Provence. Fusion is a safe and sustainable technology. It uses the heavy isotopes of hydrogen, deuterium and tritium, as its fuel sources; deuterium is abundant in the oceans and tritium can be produced from lithium, which is also abundant. The reaction itself produces no radioactive waste and, according to the ITER website, there is no risk of runaway reaction. We live in a world of rapidly developing technology- according to Edward O. Wilson, our scientific knowledge doubles every 15-20 years. To benefit fully from the technologies which are available to us we need to be willing to re-evaluate their place in our society. We should not stand aside and let our decisions about certain technologies be based on ingrained fears and outdated science- that is how dogmas are born. So, nuclear power, New Zealand? Maybe a discussion of the science would lead to a reaffirmation of New Zealand’s anti-nuclear position. Either way, the important thing is having the conversation. To quote Seven Sharp, #WeShouldProbablyTalkAboutThis. My name is Rachael Wiltshire and whilst I’m a Wellingtonian at heart, I’m currently in my second year at the University of Auckland. I’m studying for a BA/BSc, majoring in Earth Sciences, Physiology, History, French and German, because I find everything incredibly interesting and couldn’t whittle my subject choices down any further. My future plans involve finding some way to combine these diverse interests into a career. My particular scientific interests are climate science and neuroscience; however, I am equally passionate about science communication and education. Actually, Kleidon’s results aren’t quite as dramatic as you suggest (article freely available). And since fusion power is not commercial feasible at present, we are still stuck with fission – which generates waste for which we have no good disposal mechanism, and a process that increases the risk of nuclear weapon proliferation. MIT’s 2003 interdisciplinary on nuclear power is a useful read on these matters. But those are details, and your real point is a whole lot bigger. Uranium is for idoits, way to dangerous for a land of volcanoes and earthquakes. Not sure about LENR/cold fusion. If fusion was easy to do at low temperatures, why are stars so hot? Nature always takes the easiest path. We probably shouldn’t, aside from being low carbon nuclear has nothing to recommend it beyond being a hugely expensive vanity project. The French have binned the second EPR because it’s too expensive. If Hinckley Point C goes ahead the agreed minimum price (£95 per megawatt for 35 years) saddles the UK with a bill that apparently exceeds what was paid in subsidies for renewable worldwide in 2012. Given that the perceived major issue with renewable is that they are variable (but predictable) and thus need storage isn’t an issue in NZ because of the extensive hydro electric system already in place. Renewable (wind and solar) thus make an excellent choice given that onshore wind is already less costly than nuclear and solar is projected to be by 2018… in the sunny UK! Yes well I suppose it depends which theory you believe as to the formation and lives of stars. No doubt there are fusion reactions happening at different levels, electrical discharges of massive proportions creating plasma reactions within stars and transmutation is an amazing thing to think about. in orbit, from radio waves to gamma rays.”Encyclopaedia of Astronomy and Astrophysics. It seems to be that this is the way of the future. Mind you LENR is pretty old news, even more exciting in terms of over unity is The Quantum Energy Generator based on Teslas patent 511916, this is yet another sidelined solution but it is going crazy on the net with replications. They should be doing this at school. It seems to be I was mistaken about the QEG, after having done further research . As it turns out this is a fraud. I suppose after research and experiments with Bedini SSG, I was a little to over enthusiastic. As the SSG circuit behaves in way that seems to contradict basic electronics, the capture of the high voltage radiant energy spikes to charge a battery. A short video thats take a look at the media coverage on this technology which could be disruptive to global financial interests. This is applicable to the whole LENR movement and media’s dis interest and complete apathy on this subject. These values place the E-Cat beyond any other known conventional source of energy. So there you have it an energy source more powerful than conventional fuels and totally safe, clean and not talked about, by the mainstream media. So please don’t complain about global warming if you don’t intend to look at the solutions.